Thank you Micki for this blog. I found your blog just by accident. I really want a copy of your book when it comes out. I have read some about Sir Thomas Wyatt the Younger,but you presented alot more then I ever new. I understand why you may want to stop the book with his father, but I sure would like to know about his son George. Apparently he wrote alot about his grandfather’s relationship with Anne Boelyn and had also written some military strategy books as well. Any thoughts? I have “The Papers of George Wyatt, The Camden Fourth Series 5, Royal Historical Society 1968” and every now and then I try to force myself to read it. I almost always fall asleep. This is what I jokingly refer to as “the time before paragraphs.” It is also from the time before logical organization of information. (It bounces around a lot.) I will force myself through when I start writing more about Sir Thomas and Anne. It’s very clear Sir Tom the Poet was sick of the treachery at court; although he remained faithful to his king to the death. The book talks a lot about military strategy (written by STW the Younger, who was quite the warrior), the protestant cause, Wyatt properties, Sir Francis Wyatt trying to secure payment for money owed by the crown, zzz, that sort of thing. You might be able to snag a copy on eBay or any of the other sites dedicated to older books. Allison Weir (in her index of The Six Wives of Henry VIII) references George Wyatt eight times. So there must be something of value. There may also be other books by George Wyatt or containing his work; I haven’t gone down that path yet because there are such interesting works written by other people who lived during or shortly after the time of our ancestors. Their perspectives are a little more honest and less sanitized than some of the others. About stopping with Sir Thomas Wyatt the Elder/Poet … chances are good I’m going to want to wrap it all up and you can’t wrap it all without talking about his son. It’s just SUCH a sad, violent end. It’s hard to go there. You can’t spend this much time with them without getting seriously attached. If you haven’t watched The Tudors yet, it’s pretty amazing eye candy and it nearly follows Allison Weir’s Six Wives to the word. Note that they do twist history to make it fit production time-frames and budgets. Also they make Sir Thomas Wyatt look like a flaky love-sick fool; that he was NOT. I’ve just found out that my grandmother is a direct descendent of the Wyatts, and I find these three generations so interesting! Her maiden name was Waite, which I had always thought was German, before I turned to ancestry.com. What shocked me the most is just how much my father, grandmother, and I look like the Wyatts, especially Thomas the Elder. It’s the nose and the face shape, even the hair and eye color! I didn’t know that people could look like their ancestors from so long ago. When I found out about it, I was VERY happy to look like a Waite instead of a Kelley, like my sister does. I watched the Tudors JUST to see the Wyatts, but was disappointed with how they portrayed Thomas, he just seemed like such a fool, wallowing in his sadness and just letting Anne slip away! The Wyatts were such a strong family, that’s one of the traits that I’ve noticed went from one generation from the next. There! It's Roger Wyatt that's causing me so much trouble, because I can't find a connection between him, his 'wife', Joan Fisher (according to ancestry.com), and his 'son' William Waite/Wyatt. Ancestry.com told me that I was related to the Wyatts, but when I looked up Roger as the son of Thomas the Younger, there was nothing. Absolutely nothing. How could so many people have the wrong family tree? There were so many recommendations, all saying that Thomas the younger was his father. Do you know if Thomas had a few "secret" children? He does seem to be wild enough to have done it, but…it bothers me! The book “Graven With Diamonds” makes a very good case for Thomas Wyatt having “cut a deal” which led to Anne’s death and his own release from prison. I’ve often thought that lingering anger from Elizabeth against the Wyatt’s for the death of her mother might have kept her from restoring to them everything she might have to another family. What do you think? Henry had plenty of reasons to get rid of Anne. He liked his mistresses fiesty, but his wives submissive. He was very tired of her shi*. The public hated her, she raised an uproar about his sexual affairs and – worst of all – she failed to produce a male heir. He wasn’t getting any younger, he already had another bride – a nice passive little thing – waiting in the wings. I believe he was already positioning his next queen’s family within the court and announced their engagement the day after (?) Anne was beheaded. Sir Thomas had been up front in warning Henry about Anne’s questionable past. I think he could foresee the potential disaster, but Henry wasn’t listening. He was in love. If memory serves, Tom’s trip to the tower had to do with a spat; Sir Thomas did not get along with Charles Brandon. I think there’s also a chance Henry and Cromwell were sending a warning to Boleyn supporters. Anne was more than (possibly) Sir Thomas’s lover – she was a childhood friend (since their castles were fairly close), his wife’s second cousin and one of his sister Margaret’s dearest friends. 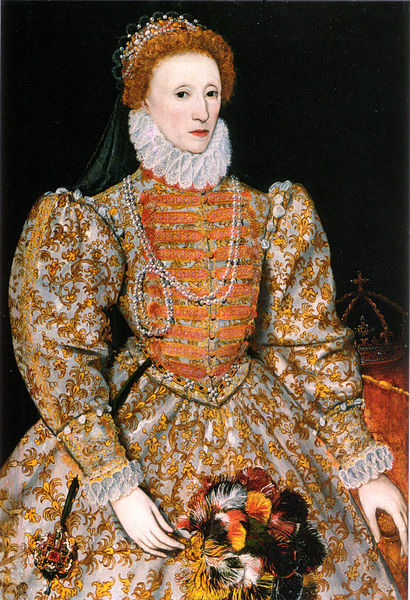 Margaret – Lady Lee – was on the scaffold with Anne when she was beheaded. Also Thomas had a close relationship with George Boleyn. The violent deaths of Anne and George changed him for all time – a difference that has been noted by historians and poets. One more fact that makes me doubt the Wyatt/Boleyn plot scenario is the fact that two generations of Wyatts continued pleading Anne’s innocence ad nauseam. If Thomas had been involved in her end, the family’s inner circle would have known and would not have gone to such lengths to try to clear her name. As for Elizabeth holding a grudge – restoring the family would have been the same as confessing she HAD been behind Wyatt’s Rebellion. That whole thing is SUCH an ugly piece of history. One more thing Beth – Anne as queen was so far out of Tom’s league he had no negotiating power on any level. If Henry could kill his dearest and most loyal friend Thomas More without blinking, he could have killed Thomas without so much as a second thought. Henry just about used Thomas to death; he thought nothing of putting him in dangerous and unpleasant situations. Thomas nearly begged to come home; Henry ignored him. In my opinion, Henry and Cromwell were ALWAYS all that was needed to work things out to the king’s satisfaction. Not that Cromwell would have minded being part of Anne’s bloody end.